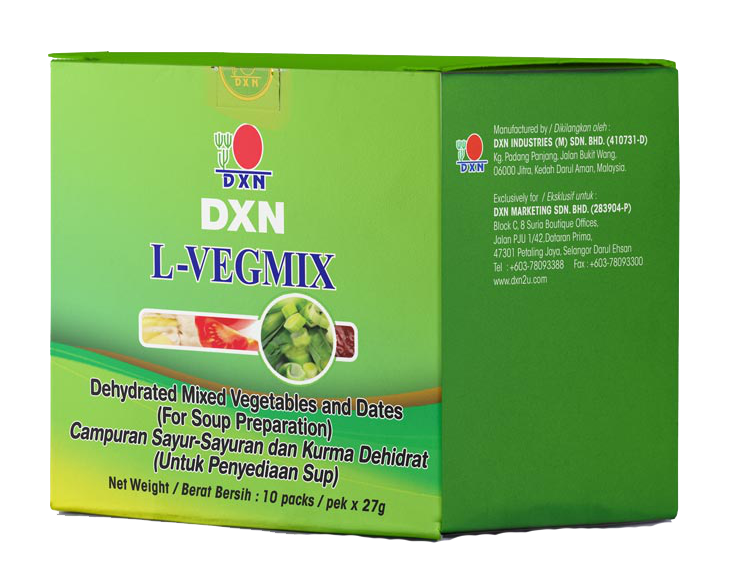 DXN L-Vegmix is a dried, dehydrated vegetable soup mix of leeks, tomatoes, dates and ginger with no sodium, additives and preservatives. DXN L-Vegmix is a great time saver since it has already been cut and is ready to cook. 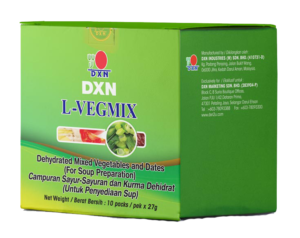 It is recommended to cook DXN L-Vegmix using the DXN Smart Pot as you can get a healthy vegetable soup on the table in a flash with just one touch. You should check if DXN Smart Pot is available in your country or you can use any pot. Place a sachet of DXN L-Vegmix into your pot or your DXN Smart Pot. Let’s eat healthy in just 20 minutes with the quick and easy vegetable soup, DXN L-Vegmix! This isn’t a delicious ordinary instant soup with many artificial flavor enhancer. There isn’t any salt in it, just vegetables. So the taste is absolutely natural, and maybe it could be a little bit strange taste, but your body and stomach will be grateful for it. This is a kind of ayurvedic soup and has similar effects as Guizhi Soup. Here I found an article about this: http://www.acupuncture123.ca/E11_Guizhi_tang_edmonton.html It’s written we recommended this to those people, who are easy to have sweat and often feel cold and feel tired. They are often weak physically. It’s available in many countries like USA, Australia, Malaysia, Europe and many Asian countries. You need to find good quality vegetables and there would be a little bit more work to be done. Where is dxn located in Liverpool, London, Blackburn. South port. Kindly I would like to get there address contact info.